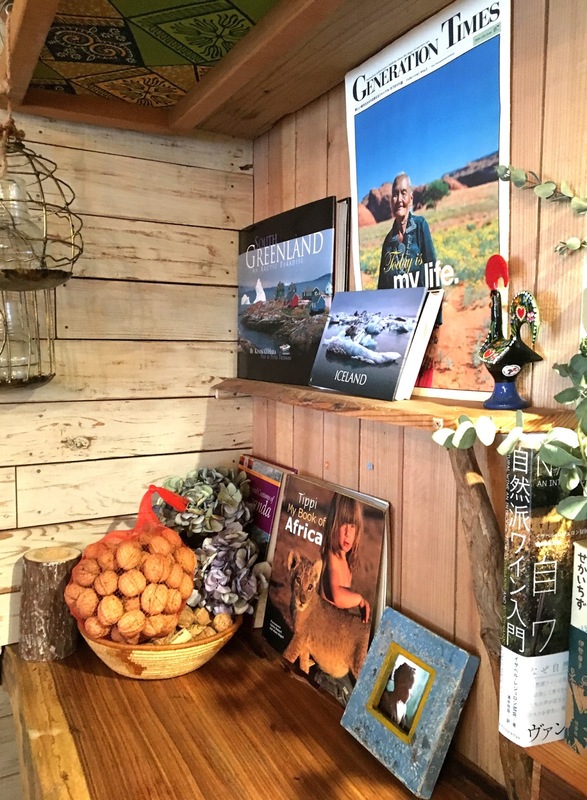 Every trip I made to Tokyo,going to Shibuya, Harajuku or Omotesando is not my #1 on the list but my favorite cafe ,Chikyu Tabi Cafe (地球を旅するCAFE) located in Shinjuku. The place may not be the name you've heard of or find it in those tourist guide books,but this cafe is the place I always walk out everytime happy. Well, that's because the cafe owned by my best friend, Natsusa. I would tell you briefly about our friendship. Back to Plainview,Texas in 2002, I've first met Natsusa in hallway when I was on the way to may next class. I noticed her Japanese fashion style,thought to myself 'she looks so cool' like she walks out from the fashion magazines I read by that time. We've met at AFS meeting and I realized she's the exchange student as me,and we've become friends since then (also with my Greenlandic best friend,Johanne). Our friendship has been fifteen years and counting. This is the reason why I've never hasitate taking train from Narita to Tokyo city to meet her, once I fly to Japan. The cafe has many amazing stories behind, and they're really inspired me. I have seen the cafe since the beginning when there was nothing, but pieces of wood and bricks. 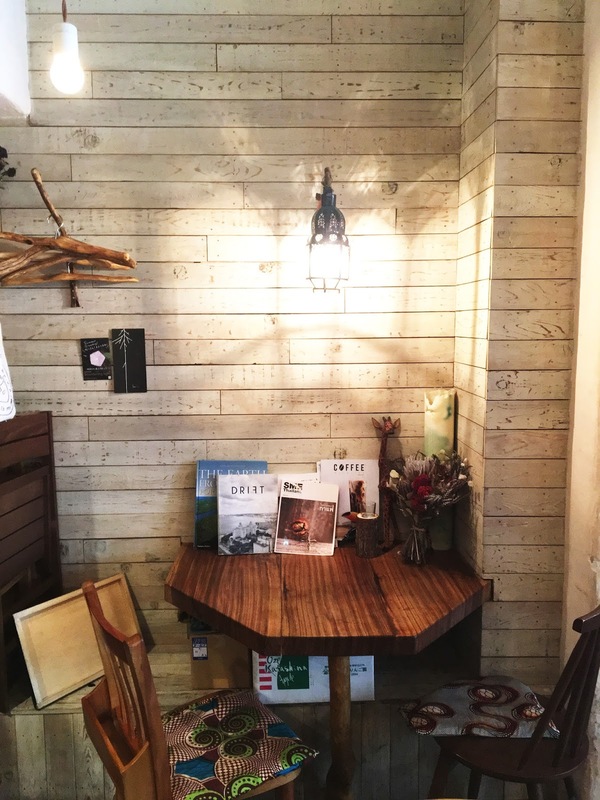 Most of the wood furnitures in the cafe have made by her father. He told me the amazing story once I first visit the cafe. As Natsusa herself, she's the true inspiring person to me. She loves traveling so.....much! She loves trying new things especially food. Her experiences about her trips are so awesome. So, once I walk into the cafe, I know exactly that it is her wonderful place because everything she loves is there even squirrel doll. Healthy eating is also the way I've learn from Natsusa's family once I stay with them during my Japan trip in 2015. It was the year that I start eating tomato! (Don't be surprise!! I was a super difficult eater when I was young)Natsusa's mother told me how tomato, and green tea is perfect for beauty. 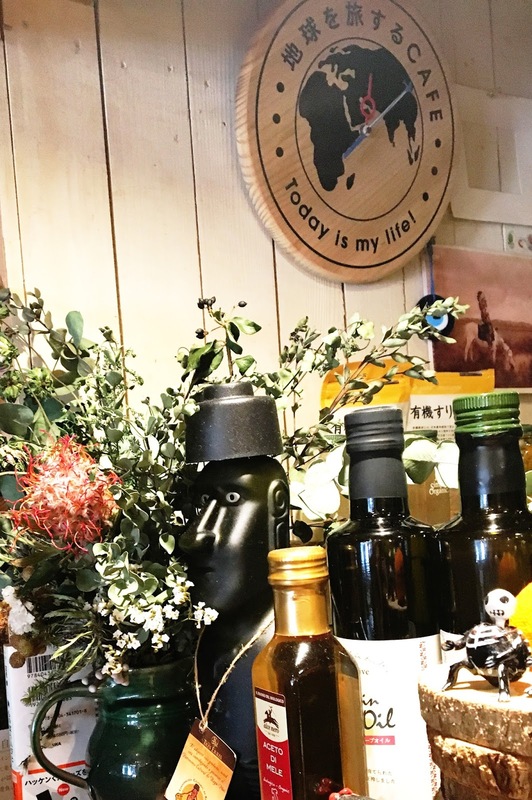 Most of the ingredients of thecafe's menu are organics which I love that because I can't find a place where serve organic food everyday,though. 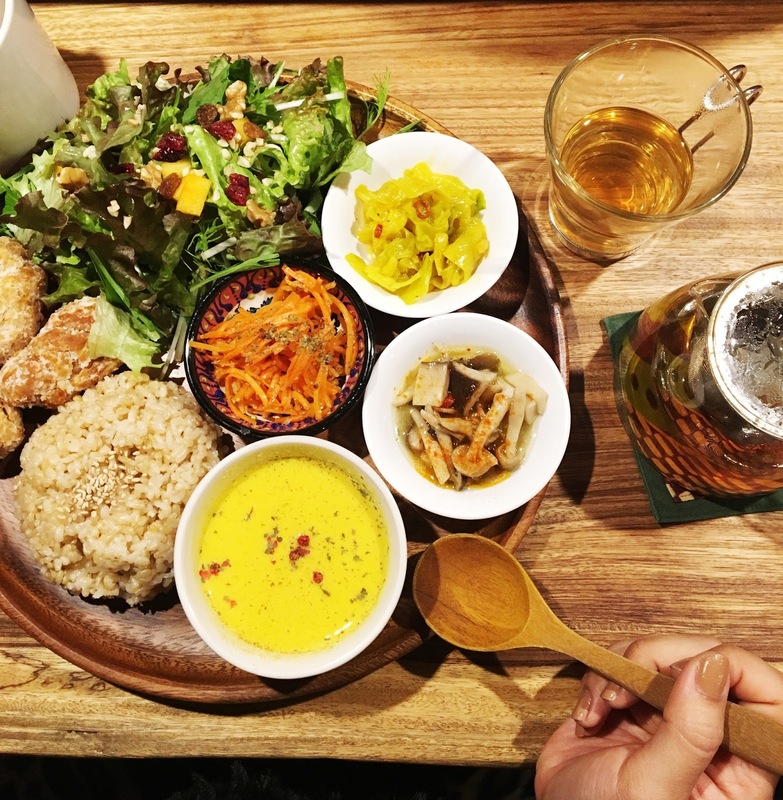 Having soy-meat karaage lunch plate, and trying persimmon tea for the first time was my happy lunch absolutely. I wish I should stay longer until evening, so I have a chance to eat 'Tikki Phad Thai' (my mom's Phad Thai recipe,and Tikki is my nickname)but I have to fly back to Australia. I'm looking forward to come back to the cafe. I might plan my vacation to Japan again next year. 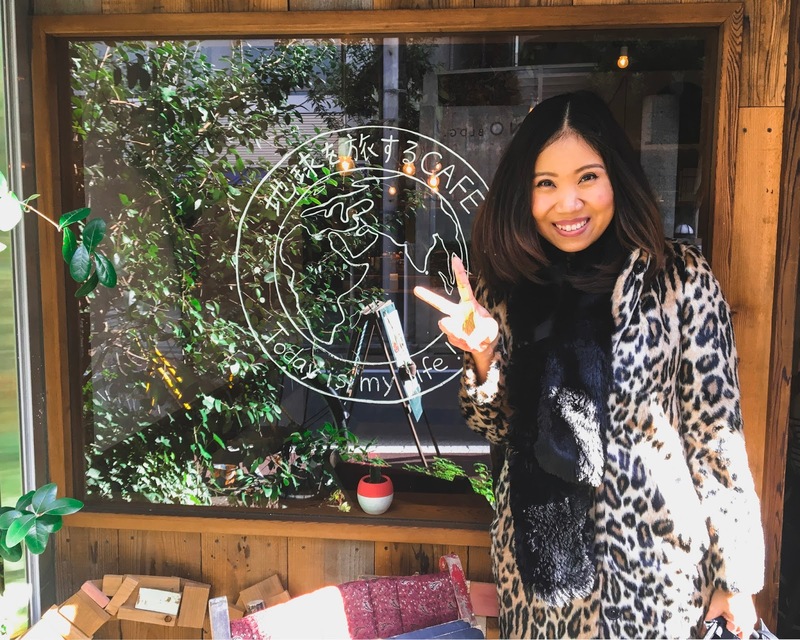 If you made your trip to Tokyo, I recommend you to come to visit my friend's cafe. Everything here comes from true love and inspiration. I'm sure you'll have great experience. Besides, Natsusa and her partner are so friendly and kind. You'll walk out happy and wanna come back again just like me. 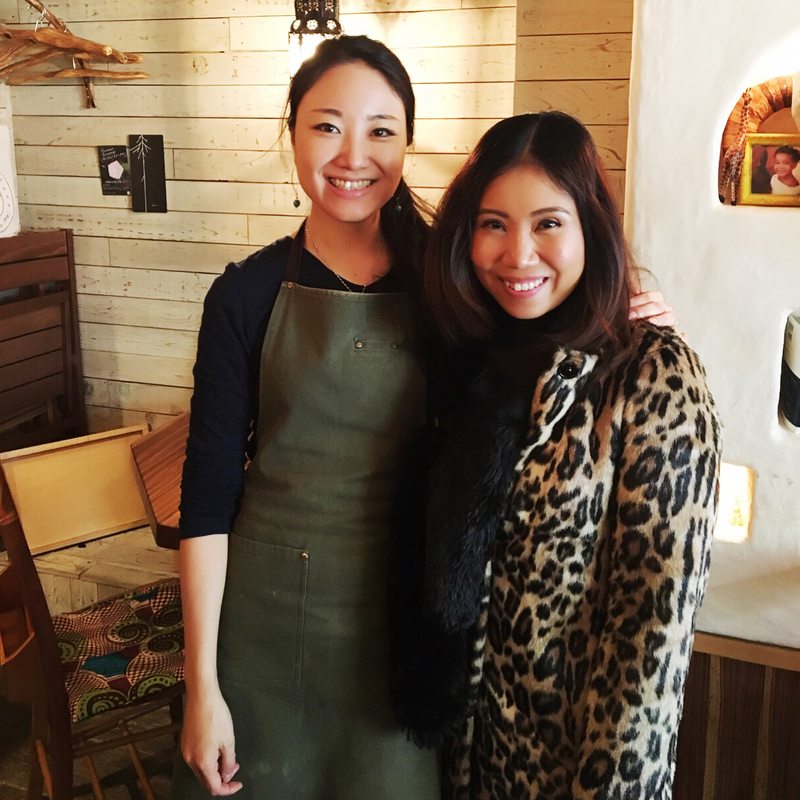 Your blog is really informative and useful for me because in this blog you have tell about a best friend cafe. I appreciate to you because you are doing great job. You have made different dishes which is so delicious for everyone. Many people are coming for visit this places and for this they find a best travel services. So, i would recommend for best traveling you can Click Here at https://www.faremakers.com/flights/cheap-flights-from-lahore-to-melbourne to reserve LHE to MEL flights. Thanks a lot for delivering an unbelievable knowledge about a cafe. You have posted a beautiful images in blog i appreciate to your hard work. Click Here http://rentacarlahore.net and Get Rent a car in Lahore according to your affordable budget. Thanks for nice blog and informative article, I feel strongly about it and love learning more on this topic. Visit Here https://gizmoservers.com and Get Minecraft Server Hosting in reasonable fares and according to your need.